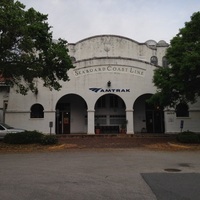 The Amtrak Seaboard Coast Line Railroad (SCL) Station, located at 1400 Sligh Boulevard in Orlando, Florida, in 2014. This station was constructed in 1926 at a cost of $500,000 and was originally part of the Atlantic Coast Line Railroad (ACL). However, in 1967, the station was acquired by the SCL after a merger with the ACL. With stucco facade and towers flanking its entrance, the station has been studied for its Mission Revival-style architecture. 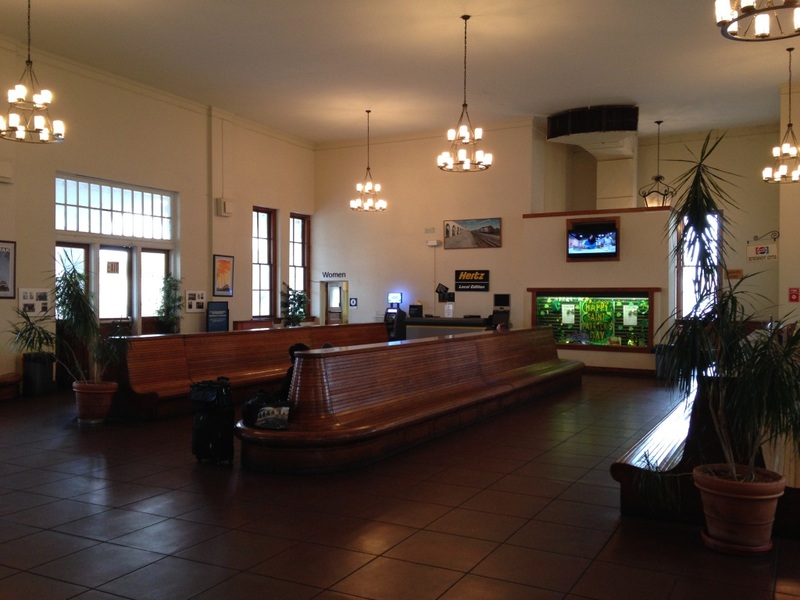 After being in operation for 65 years, the station, then owned by Amtrak, was in desperate need of renovations. In 1991, a collective of local organizations, companies and groups came together to fund the needed renovations. Original color digital images by Chris Clemente, March 24, 2014. Originally created by Chris Clemente. Copyright to this resource is held by Chris Clemente and is provided here by RICHES of Central Florida for educational purposes only. "Orlando, FL (ORL)." Great American Stations, Amtrak. 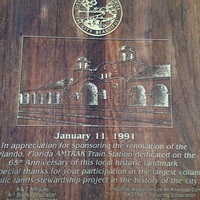 http://www.greatamericanstations.com/Stations/ORL. "The Seaboard Air Line Railroad, Through The Heart Of The South." American-Rails.com. 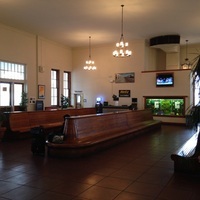 http://www.american-rails.com/seaboard-air-line.html. 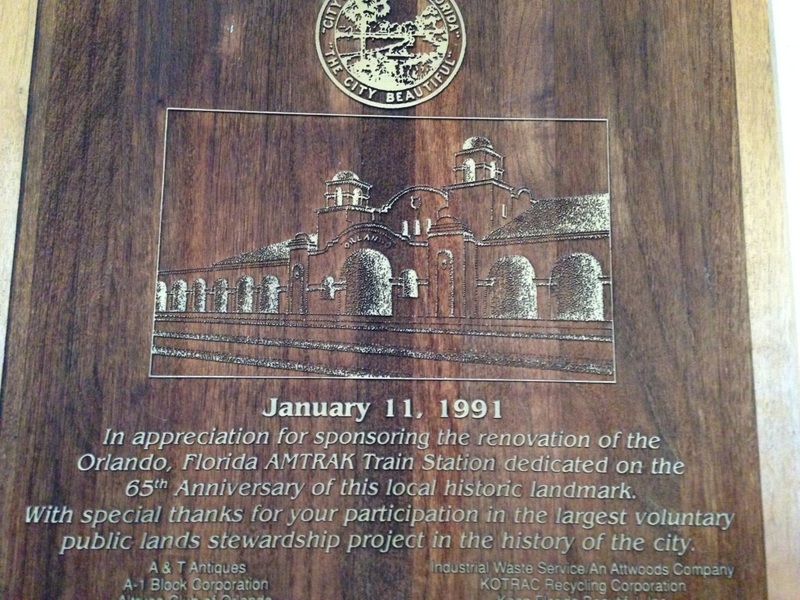 In appreciation for sponsoring the renovation of the Orlando, Florida AMTRAK Train Station dedicated on the 65th Anniversary of this local historic landmark. With special thanks for your participation in the largest voluntary public lands stewardship project in the history of the city. Clemente, Chris. 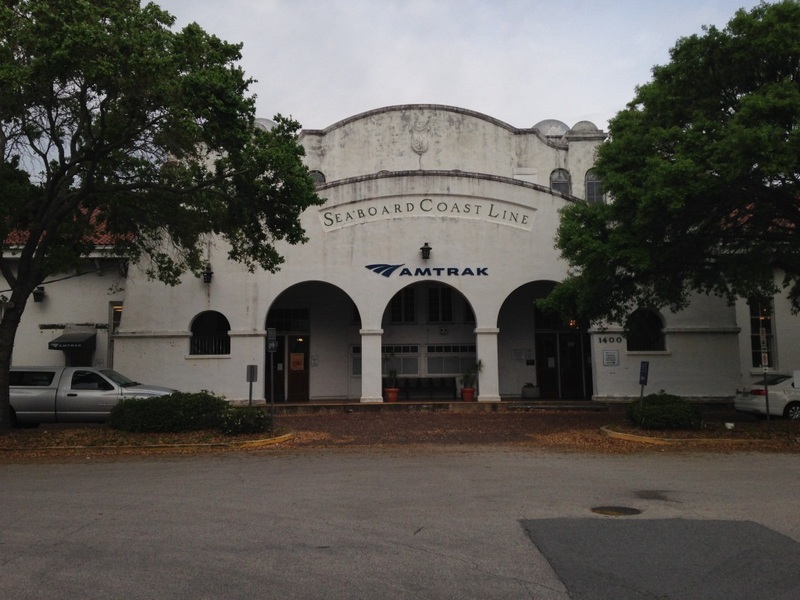 “Amtrak Seaboard Coast Line Railroad Station.” RICHES of Central Florida accessed April 19, 2019, https://richesmi.cah.ucf.edu/omeka/items/show/5115.